The students have to look at the picture and read the statements. They have to write right (R), false (F) or we don't know (?). This downloadable worksheet is recommended for high school students and elementary school students at Elementary (A1) and Pre-intermediate (A2) level. It was designed for improving your pupils' Reading skills. 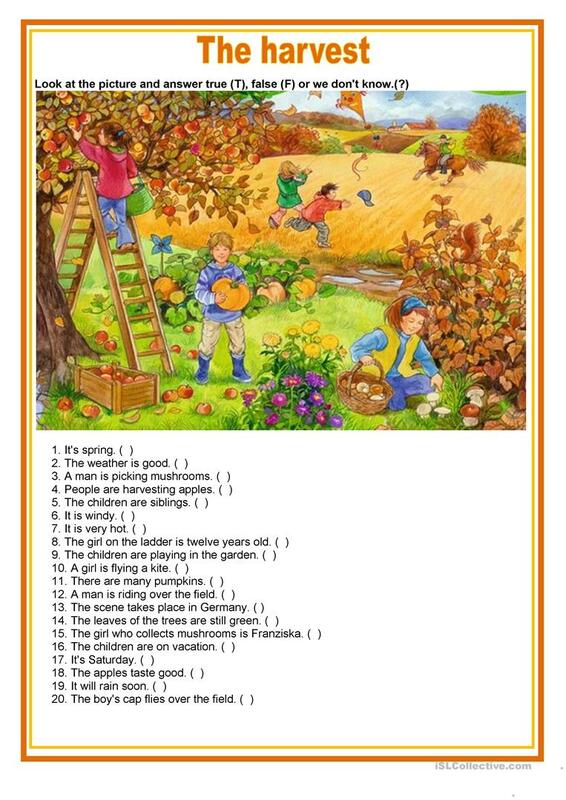 It focuses on the vocabulary topic of Autumn.